Linda Ulvaeus – The Author! Linda Ulvaeus has debuted as an author of children’s books in collobration with illustrator Johanna Lundqvist and actress Suzanne Reuter (Reuter is Linda´s neighbour.) 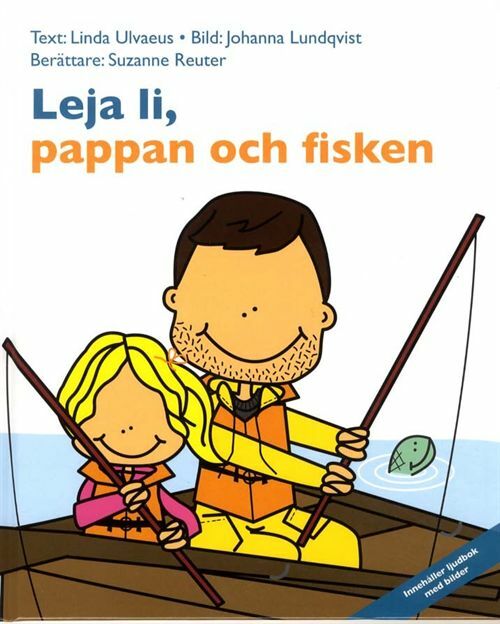 The books are called “Leja Li och busbullen” and ”Leja Li, pappan och fisken”. They come as sets of traditional books and CD books. Lundqvist has illustrated the books and multimedia and Reuter is the voice on the CD. Linda wrote the books during a one month period at the end of her pregnancy. She was still feeling very creative but felt she was unable to work as an actress because of her size during the pregnancy, so she sat at the computer and started writing. The work ended up as four books. Two have now been released and the remaining two are planned to be released in the autumn. Björn Ulvaeus even attended on of the book readings in Stockholm. Comments : Comments Off on Linda Ulvaeus – The Author! A new picture from the Villman Produktion event at Vasateatern in Stockholm. Agnetha is pictured with company founder Agneta Villlman & Linda Ulvaeus. 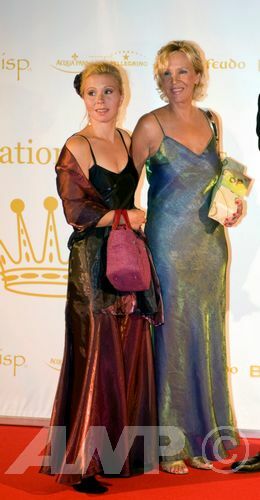 STOCKHOLM – Agnetha & daughter Linda attending the gala at Stadshuset (Stockholm City Hall) where Crown Princess Victoria handed out this year’s prizes from the Marianne and Sigvard Bernadotte Artist Fund. The gala is even more special this year as Marianne Bernadotte, who is Victoria’s great aunt, is celebrating her 85th birthday. Comments : Comments Off on SHE’S BACK AGAIN!